Our large apartment 6 in the Hotel Jagdhaus is located in the 2nd floor. Floor. The 125 m² apartment is spread over 2 floors. The apartment has a large living room with corner couch, which can also be used as an additional sleeping couch (upholstered) for 2 persons. Next to it is also the 1. Bedroom with double bed. A children's bed is also available. The bedroom is separated by a sliding door from the living room. On this floor are also the two bathrooms. One with shower, toilet and washing table. the other with bathtub, toilet and washing table. Up to 4 persons a bath is included in the rent and the other can be booked for 10, - EUR. From 5 persons both baths are included in the price. Also they have on the floor a large kitchen with dining table for 6-8 persons. The kitchen is equipped with oven, ceramic hob, dishwasher, microwave, toaster, water cooker, fridge and coffee machine. Bathroom available. Up to 4 persons is only the bathroom with shower incl. And the 2. Bath can be booked as an option. One time 15, - €. From 5 paying persons is the 2. Bathroom also included. Our house is just a 10-minute walk from the center and train station of the Harzer Schmalspurbahn. On request, you can rent bicycles supplied by an external supplier in house. Wellness services (in the house) are bookable. The sauna can also be used by our guests for a fee. Free Wi-Fi is available in the hotel. There are 2 parking spaces for your large apartment available. Further cars can be parked in front of the house in the street. The local tax is payable directly on site. The rental price is payable in cash or with EC card - no credit cards. Sehr schönes Haus. Ruhiges Ambiente. 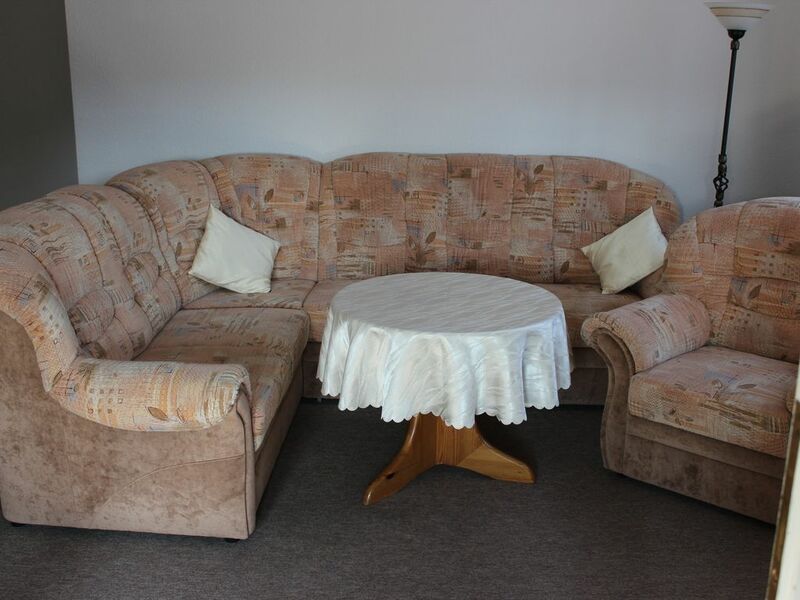 Zweckmäßige Zimmer, alles da was man brauchte und gut organisierte, einfache Anreise. Haben uns sehr wohl gefühlt.